Considering a roof restoration? 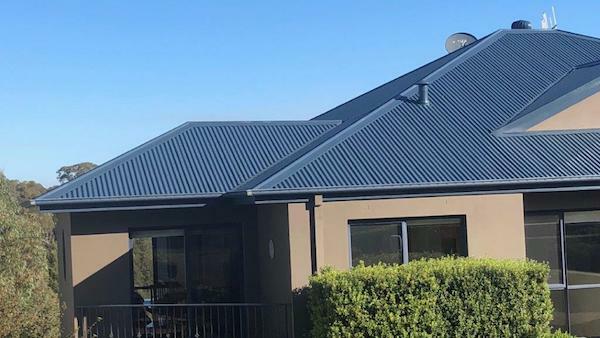 Whether you’re tired of constant leaks, noise and repairs, or whether the impression of your home is being ruined by an unsightly roof – Canberra Roofing can help. Canberra Roofing is Canberra’s leading roof specialist, experienced with all roof materials affected under our harsh Australian conditions and weather. Make first impressions count with a roof restored by Canberra Roofing. It’s often said that you don’t get a second chance to make a great first impression. A worn out, faded or poorly maintained roof makes a house look old and unattractive, giving potential buyers little confidence that the rest of the house is in much better condition. A roof restoration changes the external appearance of your house immediately, transforming the look of your roof back to new – giving it a fresh, well cared for appearance. While a newly restored roof may be able to add to the overall value of your home, in a competitive real estate market it can also help you to sell your home quicker. Increasing the curb appeal of your home with a roof restoration will make your property more attractive to buyers. Our roof inspection covers it all; Identifying loose or broken tiles & gutters, moss, lichen and water damage, damaged flashing, valley & ridges, bedding/pointing and broken/damaged tiles to repair. A dirty roof doesn’t only look ugly – It deteriorates the condition of your tiles, leading to costly future repairs and replacements. Our high pressure cleaning removes dirt, moss, lichen and algae – You may be surprised how well a good high pressure clean can breathe new life into your roof. Full rebed and repoint of all ridge capping. We ensure proper joining of any loose ridge capping & tiles to protect from dislodging and leaking. The final step is a complete coat of Nu-Prime Premier/sealer to stabiles the roof surface, followed by two coats of reinforcement protective roof membrane coating to ensure maximum durability and long term weather protection.